We are a group in every sense of the word. We think together in order to think bigger. We bring together ideas, people and dreams in one single place. ...in the lives of each and every one of us and in the world. Because every day is a new opportunity to succeed. When one of us succeeds, every single one of us also triumphs. Enterprising individuals, who combine efforts and multiply results. People who aim to achieve. People who can’t help but mesmerize. The more people we have, the more triumphs we get. Every individual in our network has a success story that is under development. And every victory is a personal joy to us all. 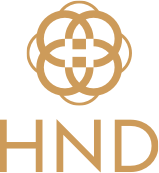 The Hinode Group benefits from consolidated products across the market, including fragrances, make-up and cosmetics. And we’re looking for more! The Hinode Group offers several paths toward success. It’s one way to open your own business and dictate what to do with your own time! Discover the path on how to fulfill your dreams. The Hinode Group offers the best opportunity for you to achieve personal financial freedom. Through a simple and accessible marketing plan, properly linked to high quality products, you can optimize your profits and grow progressively faster. I’d like to become a consultant.